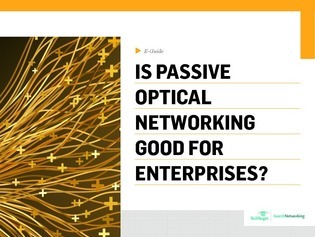 Could passive optical networking work for you? Passive optical networks, or PONs, have long been a mainstay for service providers and personal users. While many enterprises may find the simplicity of PON to be compelling, is it truly the right fit for you? Inside this e-guide, Andrew Gallo, Information System Engineer will help you answer this and will dive into the top factors IT managers must consider before choosing PON.